We commend you for your patience. It was a long winter, bleak and sun-less, but your restraint has finally paid off: it’s summer again! You know what that means – plenty of opportunities to get stung again by yellow jackets. Not everyone has the know-how, though, to get attacked. Unlike stubbing your toe, it isn’t a universal skill. Some people can do it naturally, others need a little help. In case you are lacking that spark, or struggling to excite the yellow jacket to such a level that they’ll sting you, we wanted to provide a few ways for you to create the magic yourself. You aren’t going to pick up a yellow jacket just going out all bland and boring like that. You have to show them that you’re really interested. Here’s a tip: yellow jackets love floral perfumes and they love bright colors. 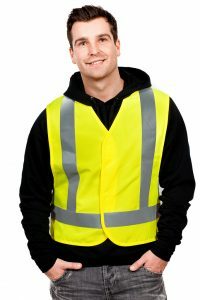 An easy start is donning a neon yellow reflective vest. For perfumes, you can’t go wrong with Yves Saint Lauren’s Beauty Parsienne. One user describes it as “floral” but reminiscent of “her grandmother and trees”. Perfect. Yellow jackets love sugar, and grape soda spread lovingly on your arms is the best way to catch the scent of one who’s interested. The heat of the day is best – in Portland, that’s around 5pm or so. If you’re really desperate, we suggest standing near or inside a trash can. This is where the hungriest yellow jackets go; if you can’t get stung there then we don’t know where you can do it. To get the desired effect, you really gotta let loose. Yellow jackets are especially provoked by quick, jerky movements. 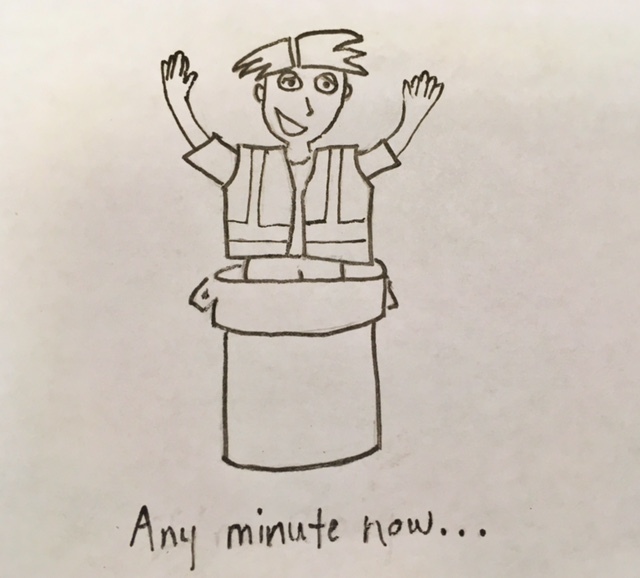 Our best tip is to flail each body part as wildly and provocatively as you can, which will be send a clear signal to all that you’re ready for action. If one lands on you, run as fast as you can. 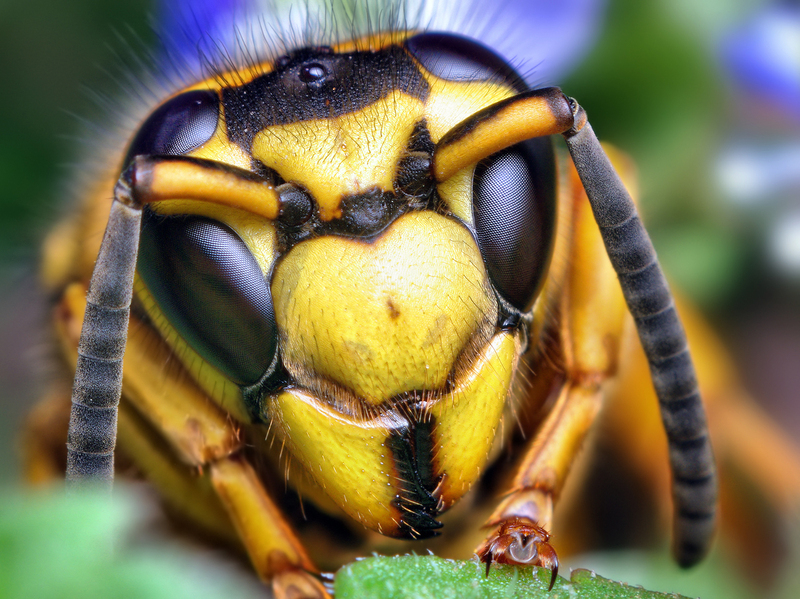 Yellow jackets are surprisingly coordinated when it comes to attacks – when they sense one of their comrades in pursuit, they’ll all get in on the chase. >If you really want to get some attention, squash one when it’s on you. Yellow jackets, when crushed, release a pheromone that attract other comrades to come and help. If you can do this, they’ll be crawling all over you (you can thank us later for this). Considering nests can contain up to thousands of yellow jackets, this is almost as guaranteed as if you were paying for it. First, you need to find the nest. In backyards this may be a hole in the ground (hence that stream of fliers you see in the dusk), or under house eaves, in walls or attics. It’s the workers job to vigorously defend the queen – just sniffing around the front should be enough to have swarms around you in no time. Alright, we’ve armed you with everything you need. In case you need more inspiration, you can check our Yellow Jackets page for some insights. Or, if you don’t like yellow jackets, nor being stung, and would like their presence removed, contact the Bug Man.